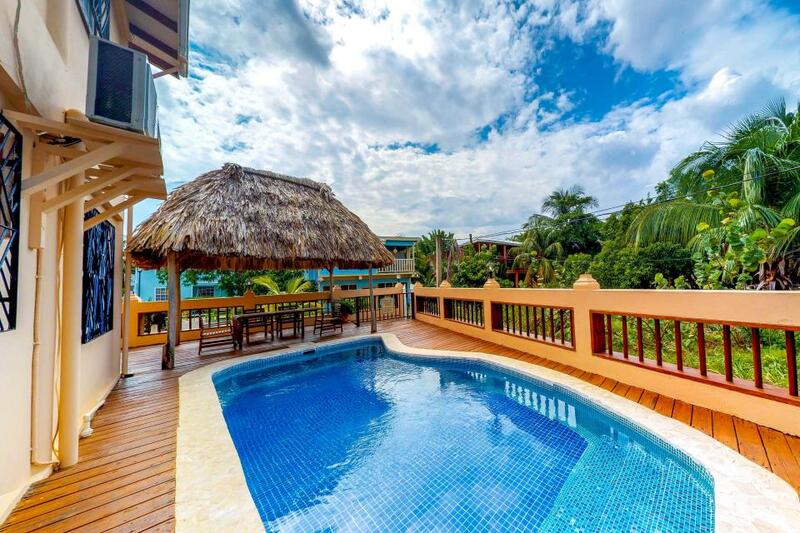 Rent our entire villa! You'll have two stories, five bedrooms, and sleeping space for 14. Partial air conditioning, a washer and dryer, and a seaview patio and balcony make this place feel like home. Grill out, take a dip in the pool, or simply relax in front of the TV or log onto WiFi. No trip to Placencia is complete without a stay at the Mirasol.